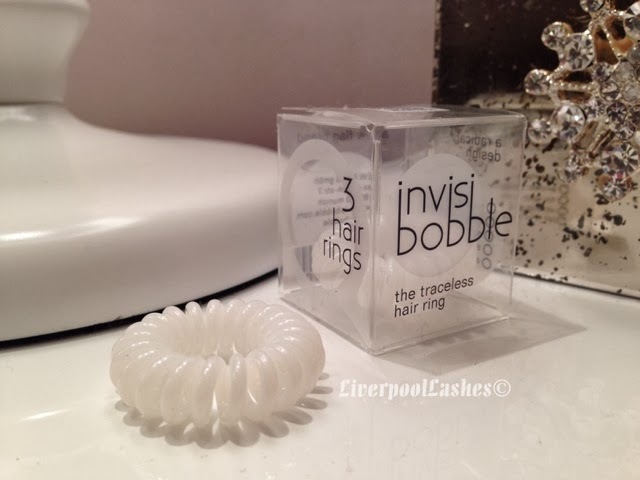 The combination of my quest for good condition hair with the Boxing Day sales let me to stumble across InvisiBobble Traceless hair rings. The design and the name really intrigued me straight away. My first thought was that they look like telephone cords and I couldn't get my head around how they were 'traceless' as they're available in all kinds of bright colours as well as clear. I then found out it meant that they did not leave a mark in your hair when you remove them. 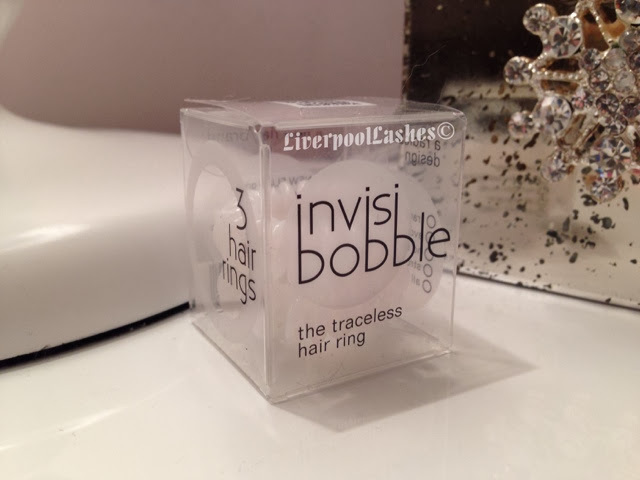 The magic trick to Invisibobble's traceless outcome lies in its peculiar telephone cord shape. When this hair ring is wrapped around the hair, it places uneven pressure around the circumference of the ponytail; standard hair rings put even pressure on the hair, leaving an obvious mark. The uneven pressure produced by the Invisibobble allows for the hair to be held strongly in the ponytail without being too tight. This gives individual hairs more space within the ponytail than they would have when wearing a normal hair band. Above left is the bobble after a couple of uses compared to the brand new one on the right. It does stretch out of shape a little and gradually form back into a looser version of itself. The change of shape doesn't make a difference to the hold of the bobble and it still holds my hair amazingly well. 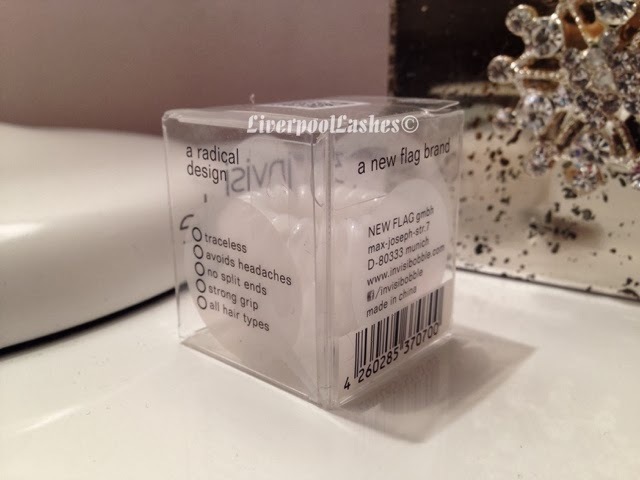 One of the features of the bobbles are that they avoid headaches. It's hard to describe how they feel but the spirals keep the bobble in place without pulling at my scalp. 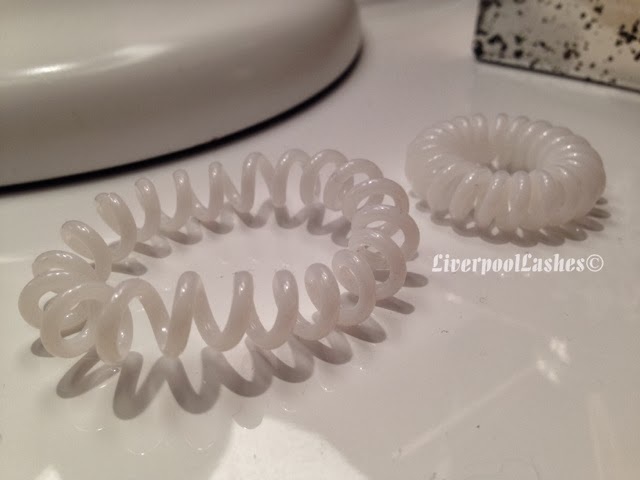 For a long time I have loved wearing ribbon hair ties like these and they have worked well a keeping my hair away and leaving less of a mark than the tradition bobble but I can happily say that the InvisiBobble Traceless hair rings do not leave a mark at all in my hair. The bottom line is... I think these bobbles are ace!! They hold my hair amazingly well and leave no mark if I then want to wear my hair down or change it from a high pony to a low pony. The look of the bobble in my hair is a little unusual but doesn't bother me too much. These ones are in white but I'd be keen to get other colours and their clear version. I would definitely say to check them out, they're a winner! These sound great! They actually look fine on too, I was worried they'd look a bit strange! 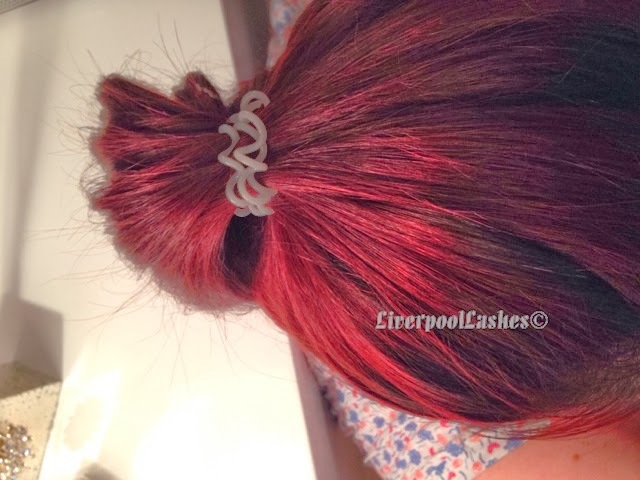 Excuse the bad pictures the post is old http://lemonaidlies.blogspot.co.uk/2013/07/invisibobble.html. I loved mine but they all snapped one on my first try i think my hair is too thick !